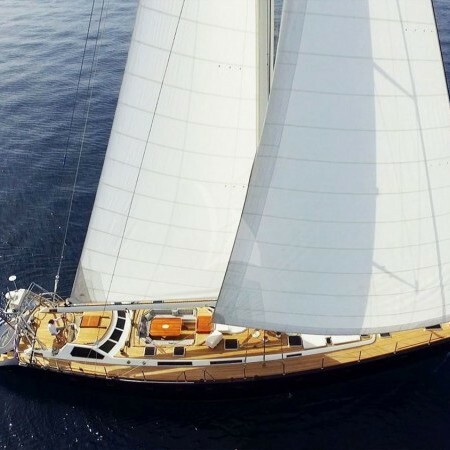 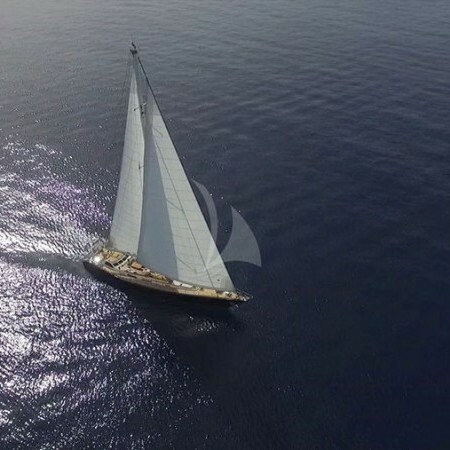 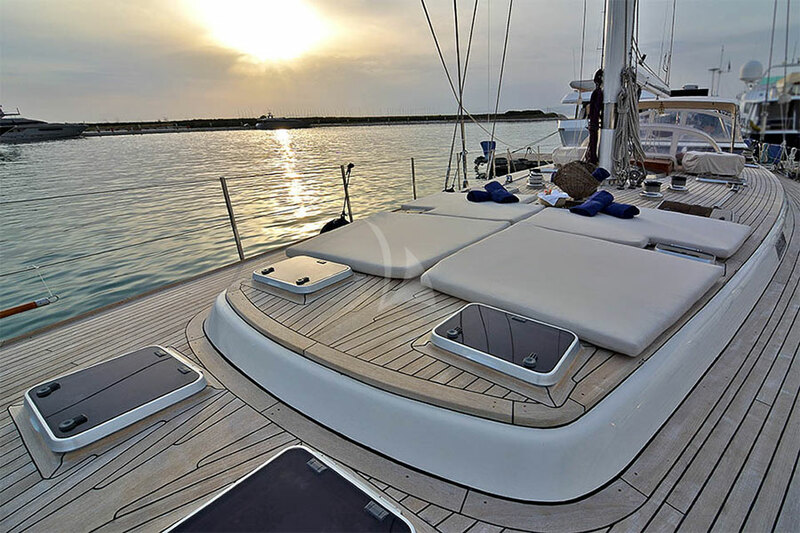 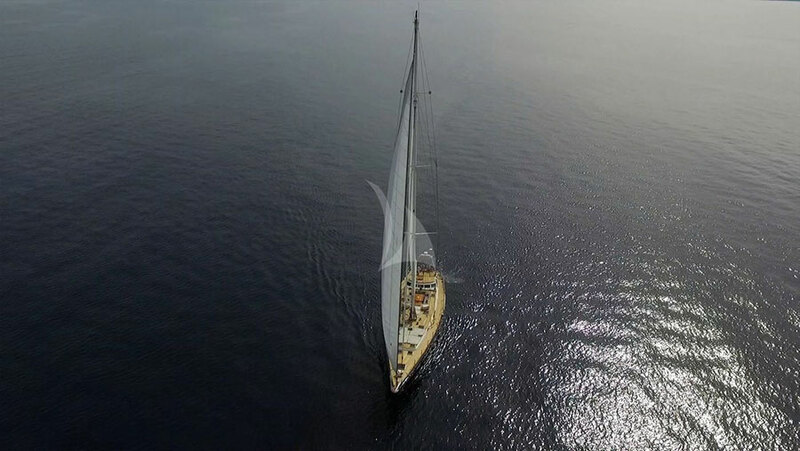 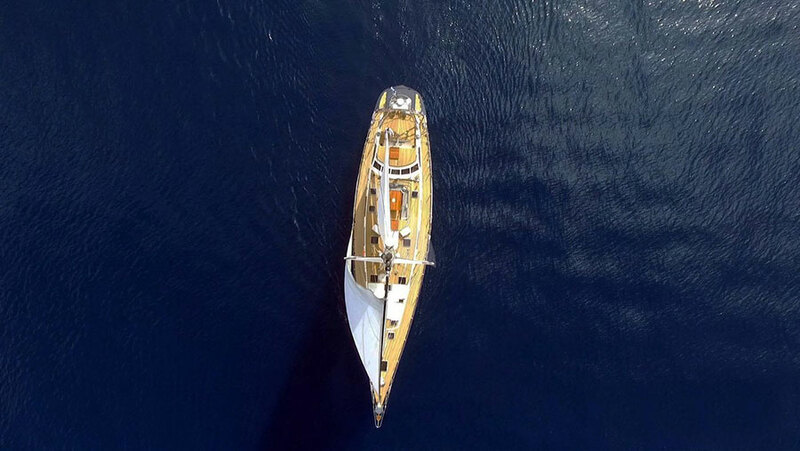 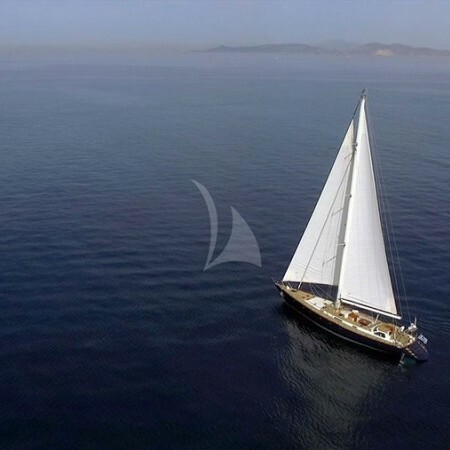 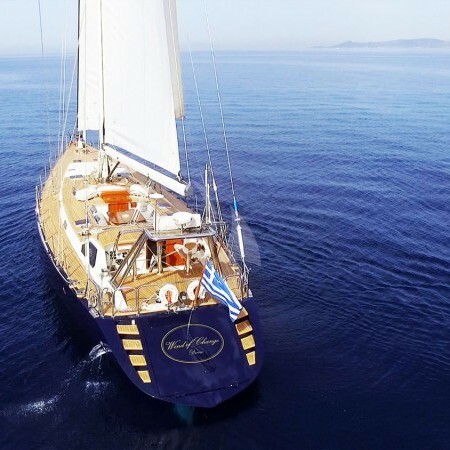 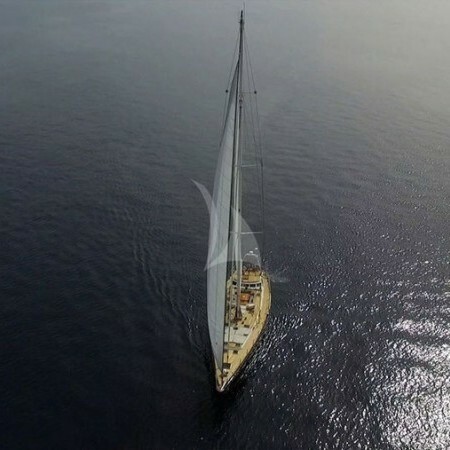 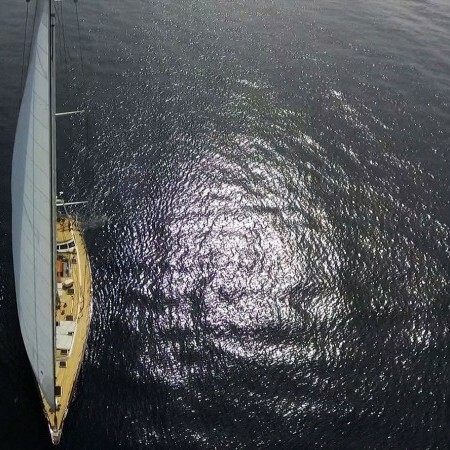 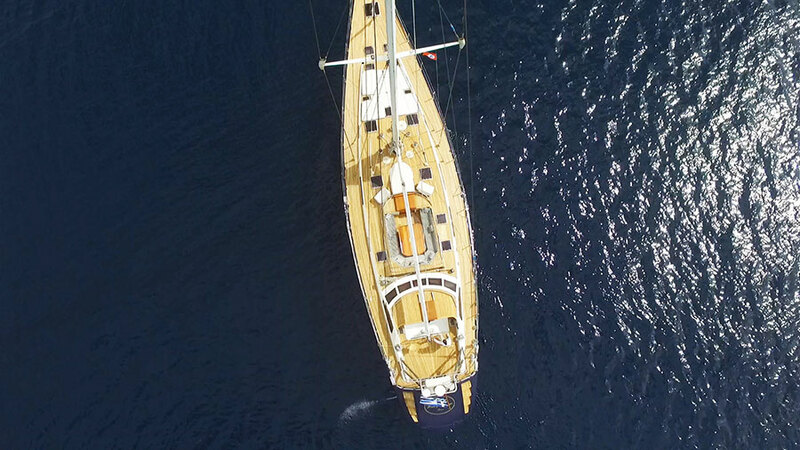 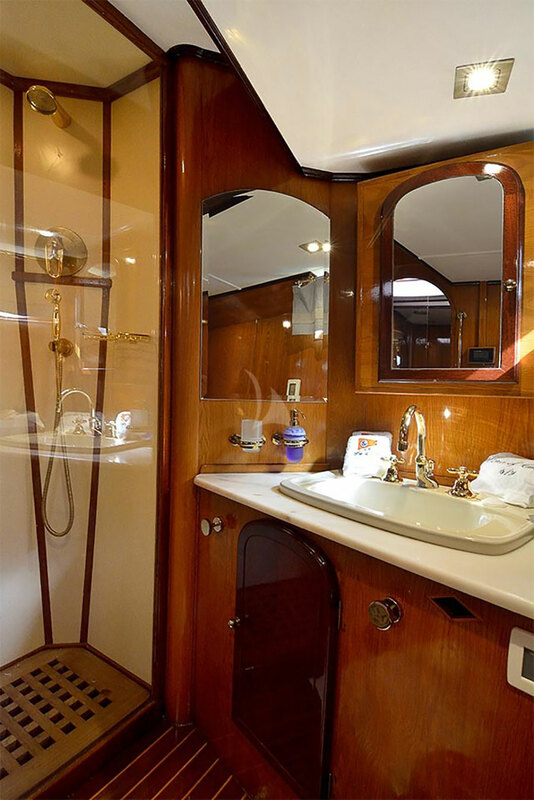 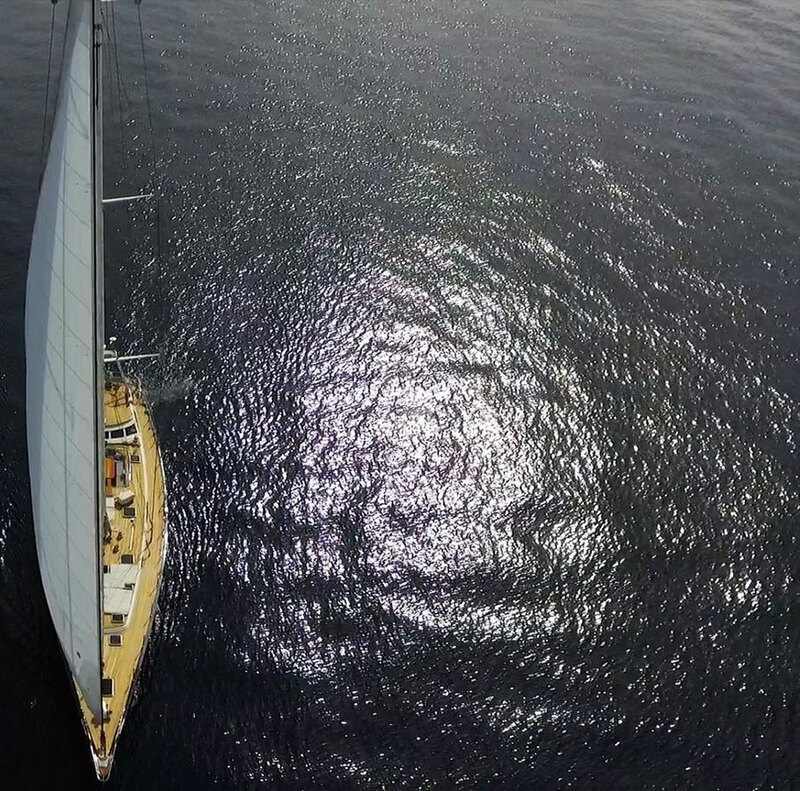 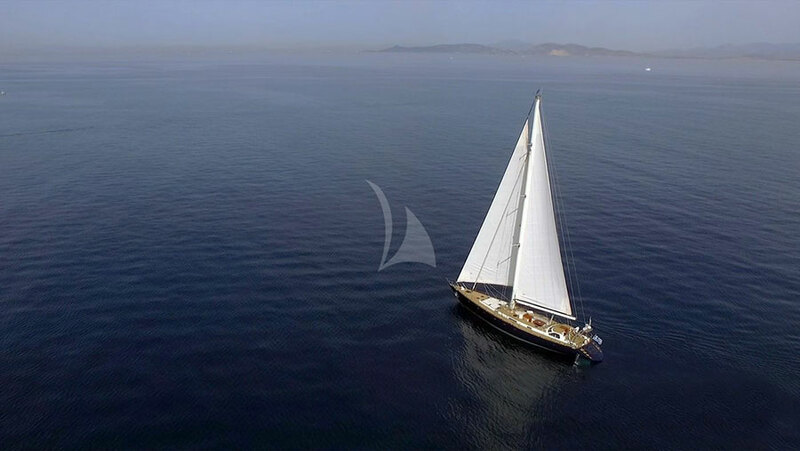 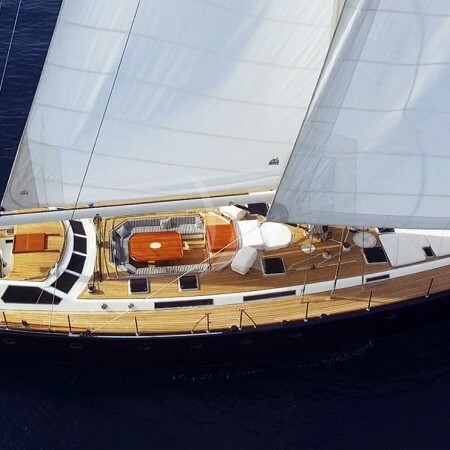 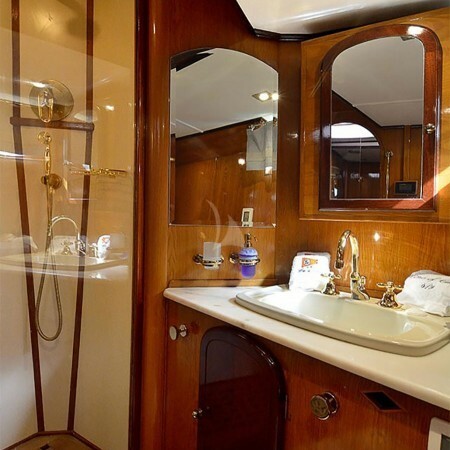 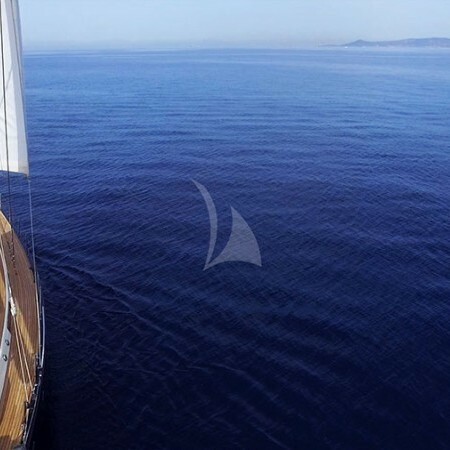 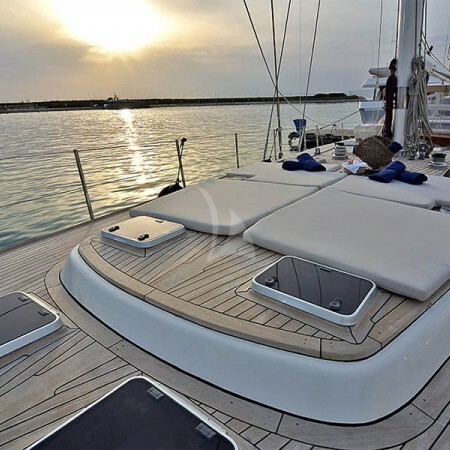 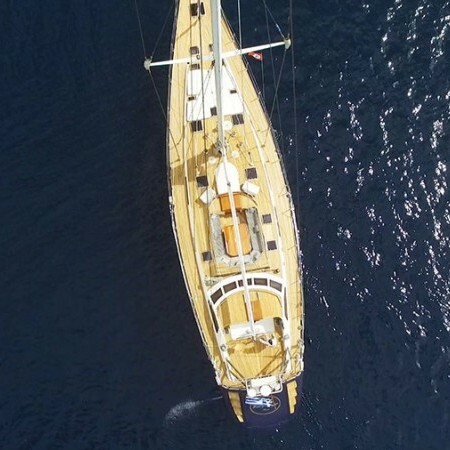 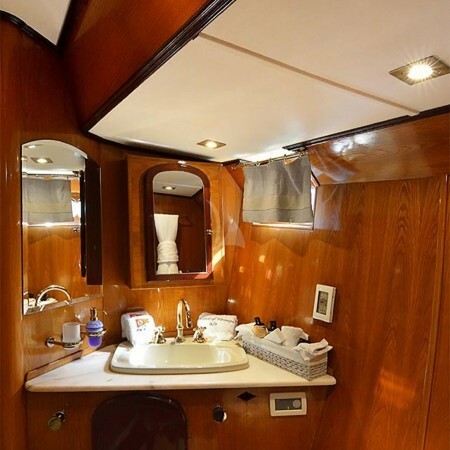 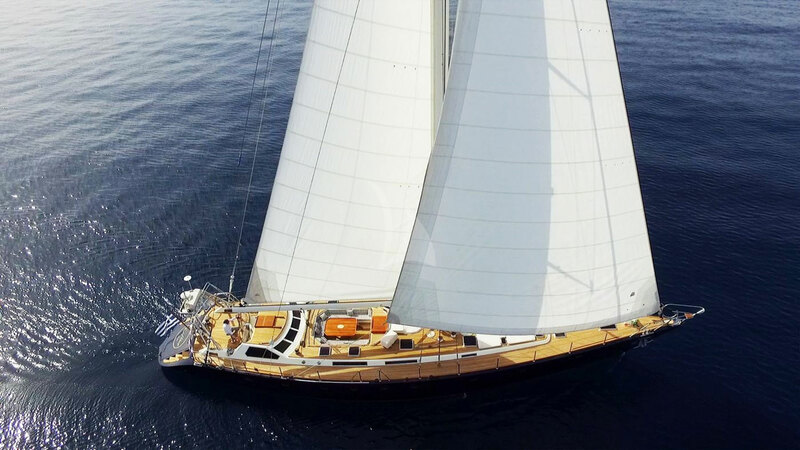 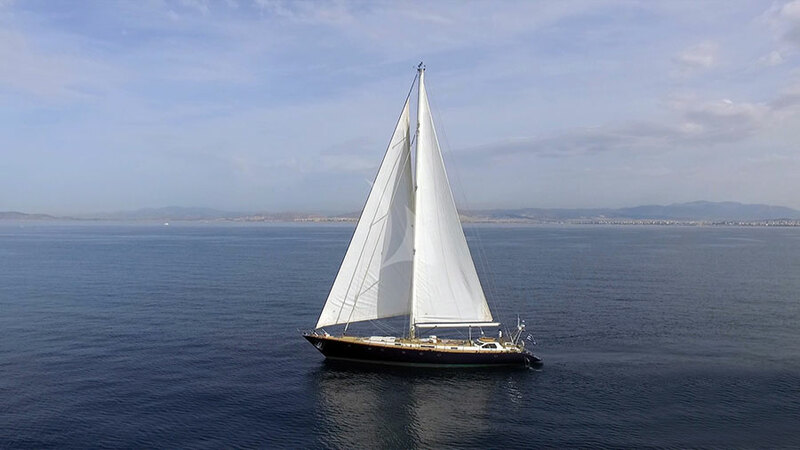 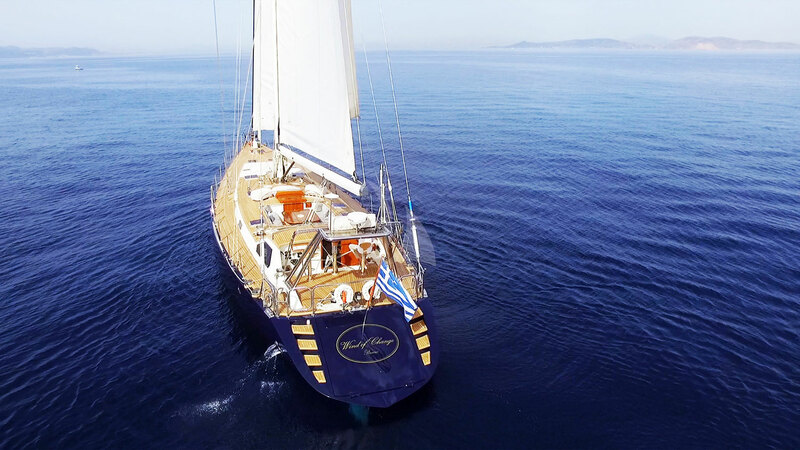 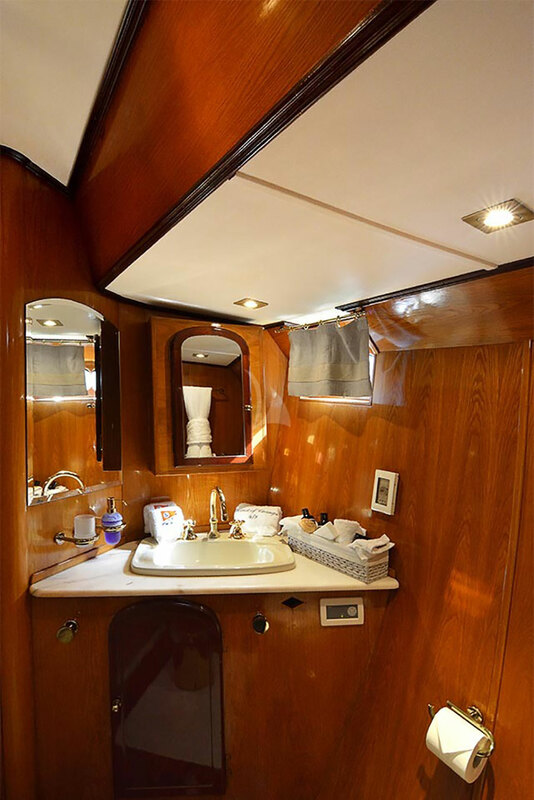 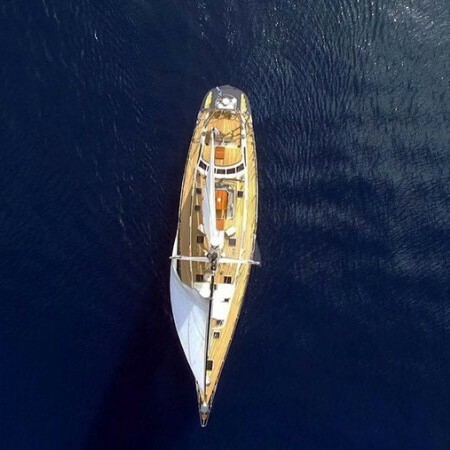 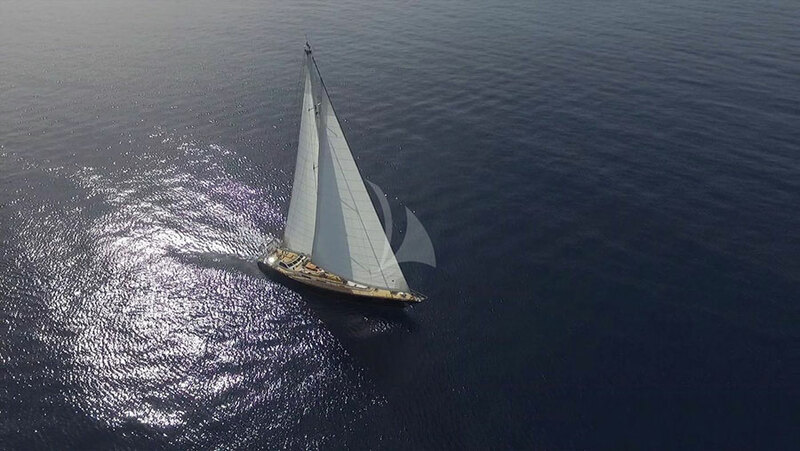 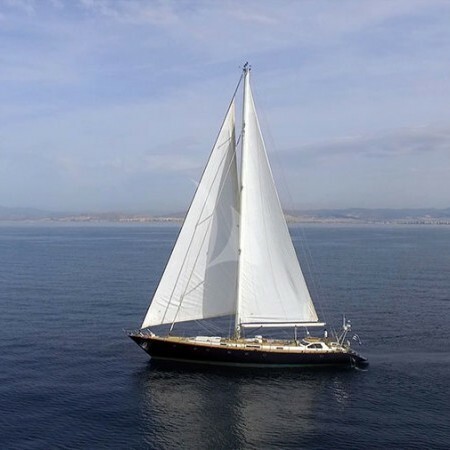 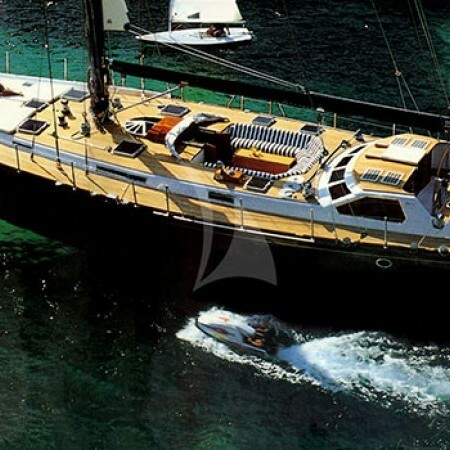 Ron Holland designed the elegant Greek sailing charter yacht WIND OF CHANGE (Ex Onyx) to provide sailing supremacy and world-class standards of accommodation. 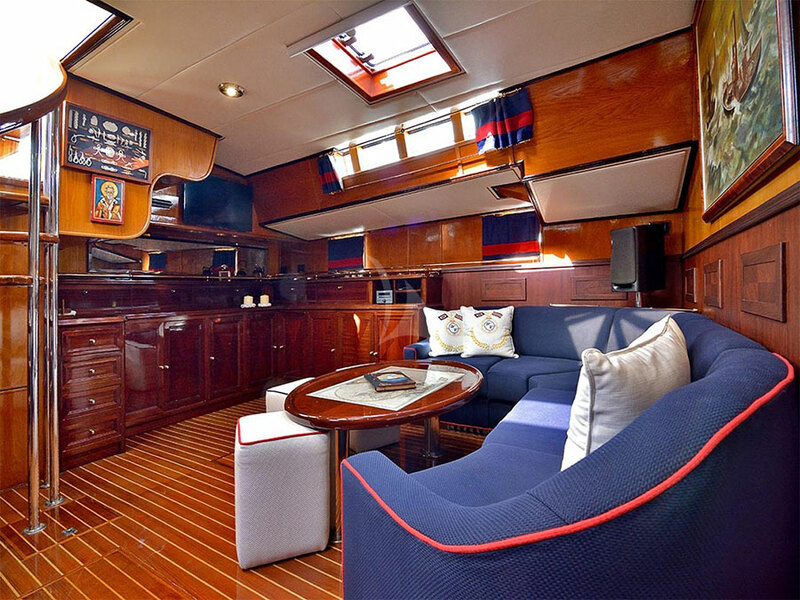 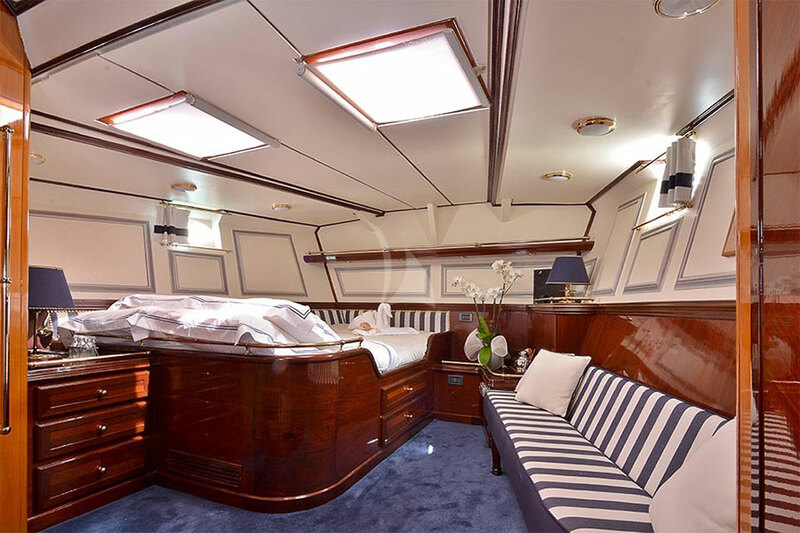 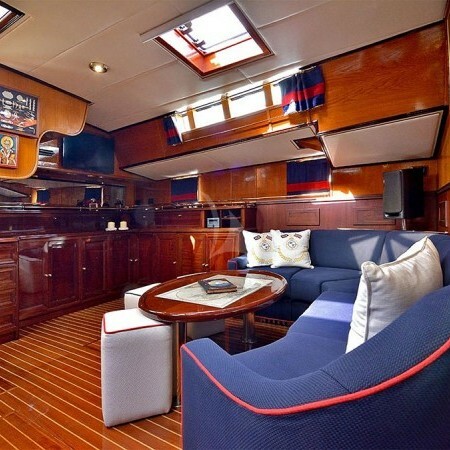 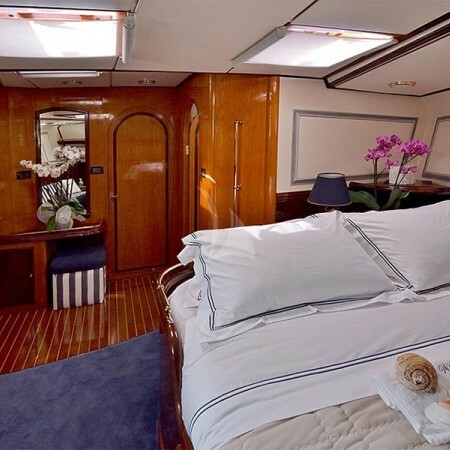 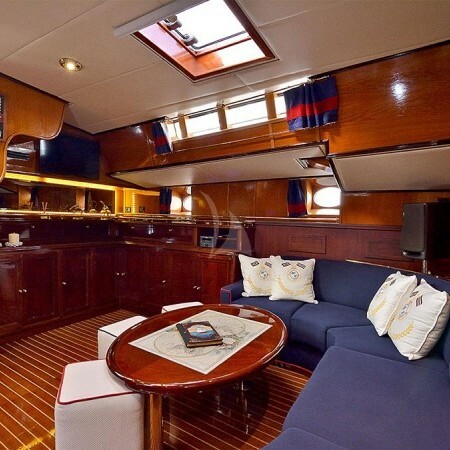 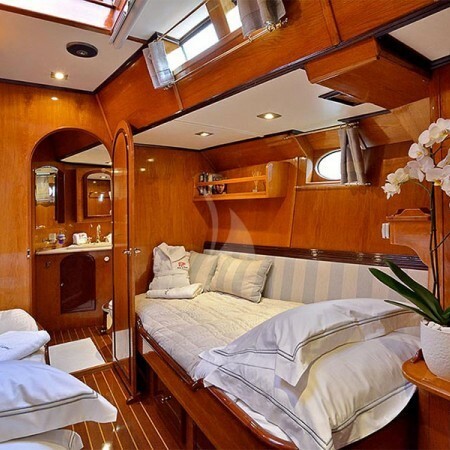 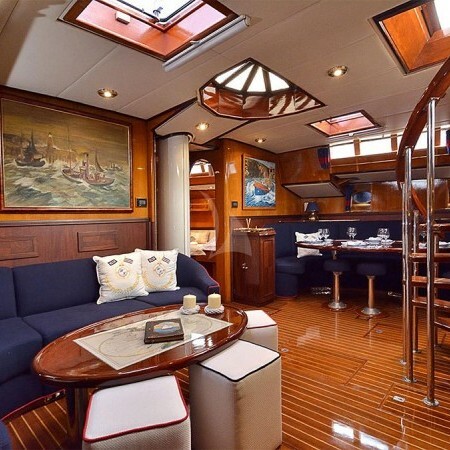 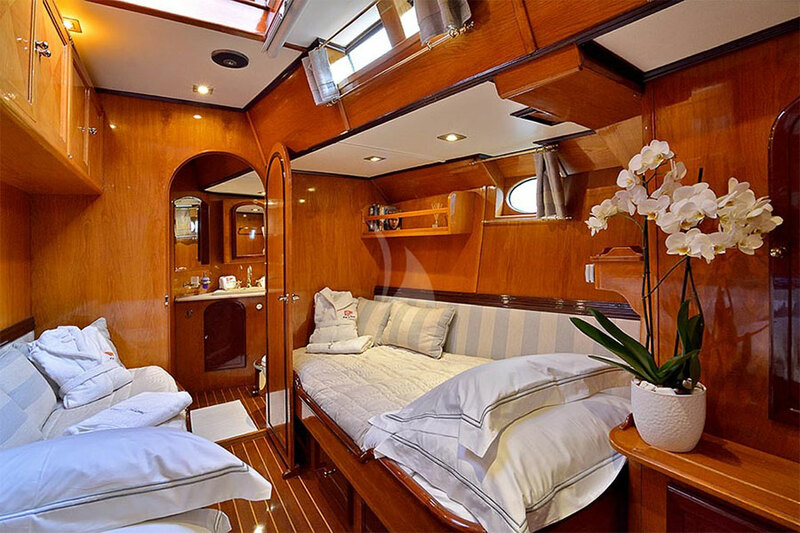 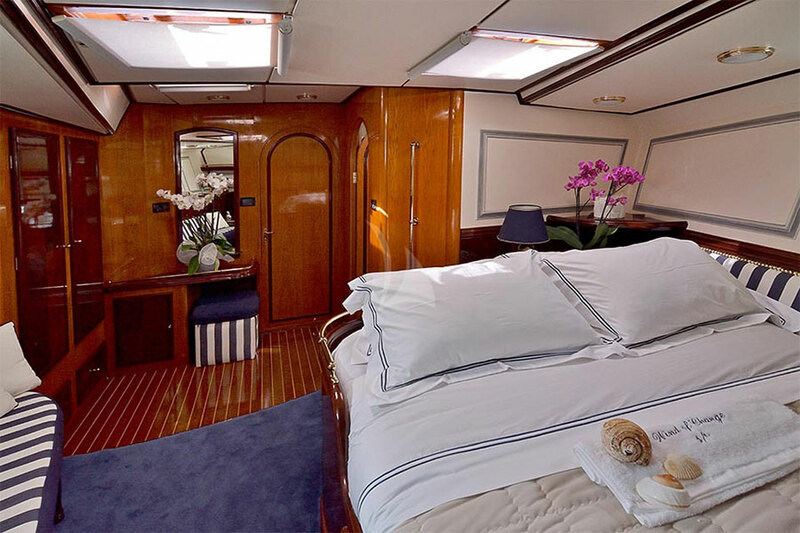 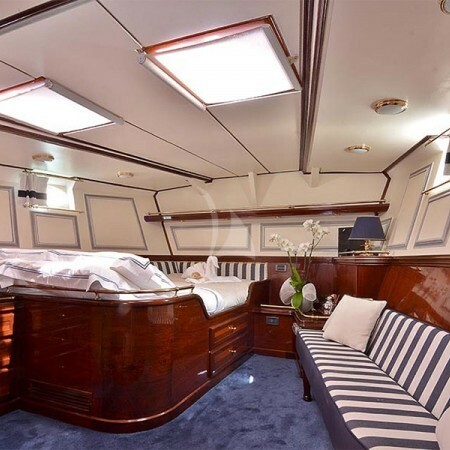 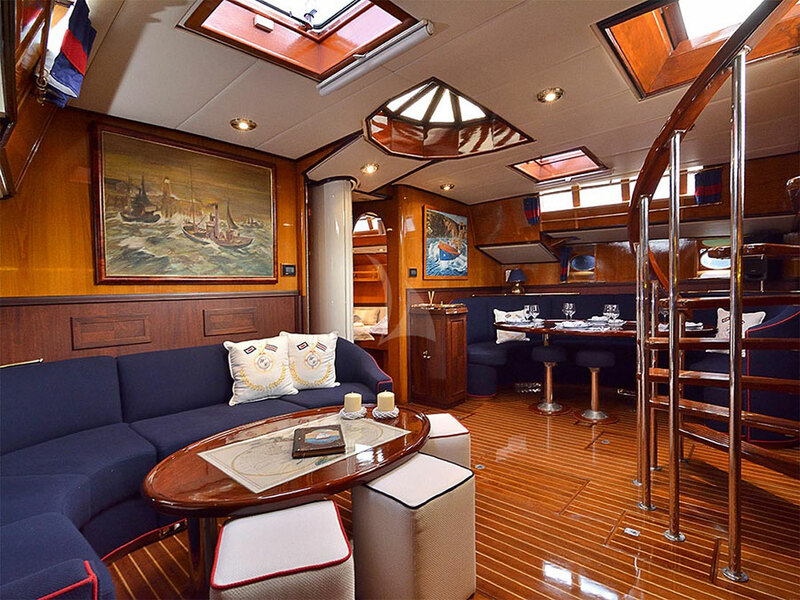 Wind of Change has had a relatively recent extensive refit and has a comfortable interior which accommodates up to six guests in elegant fashion. 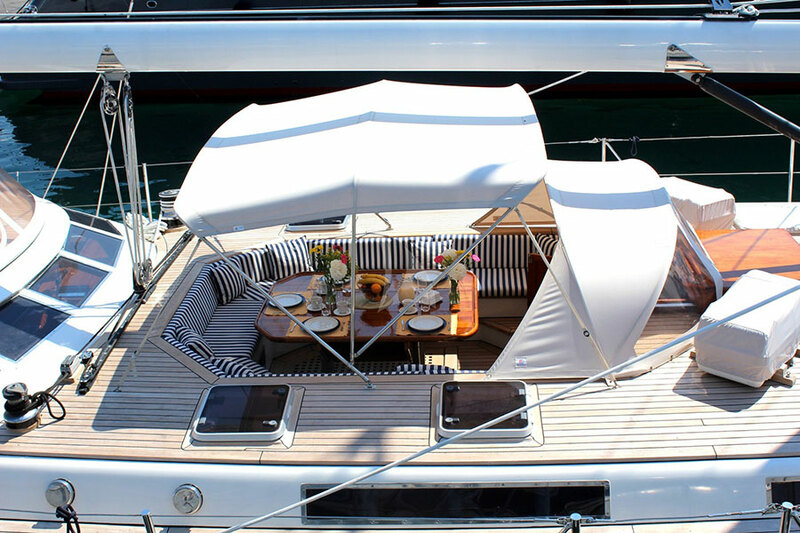 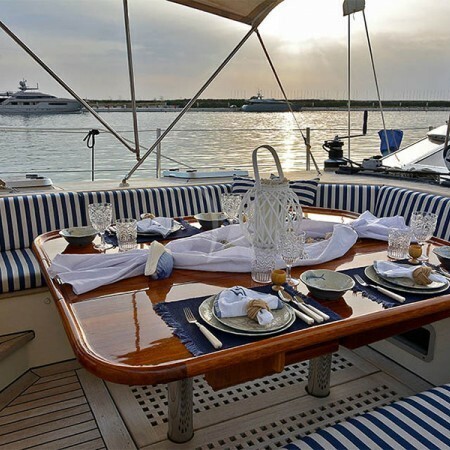 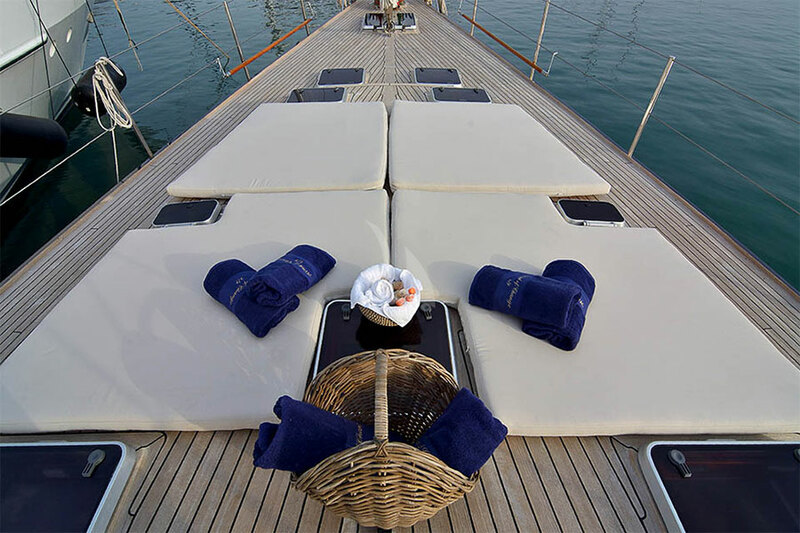 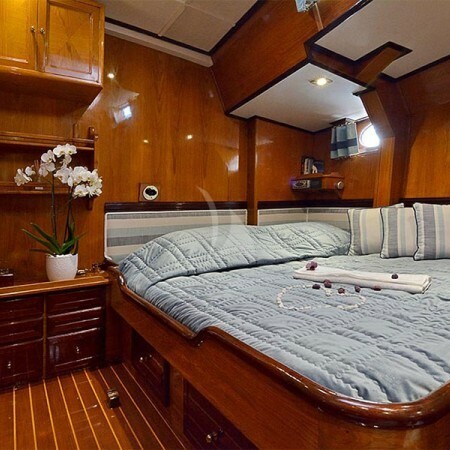 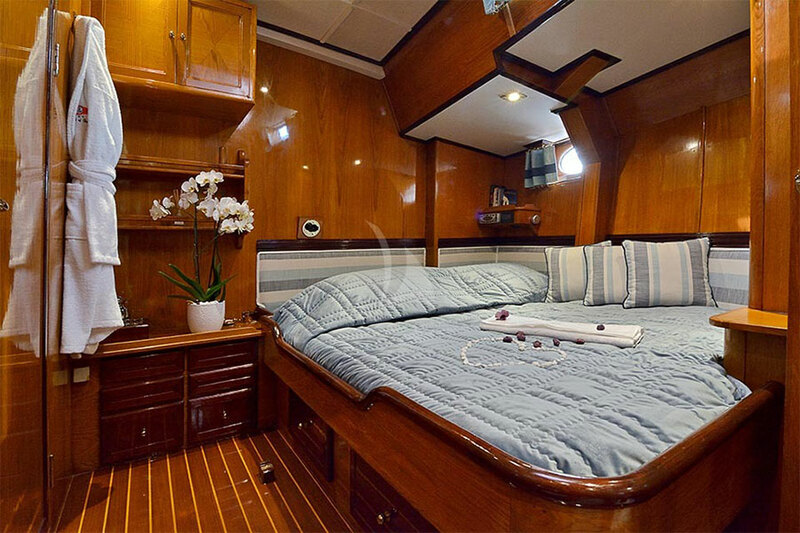 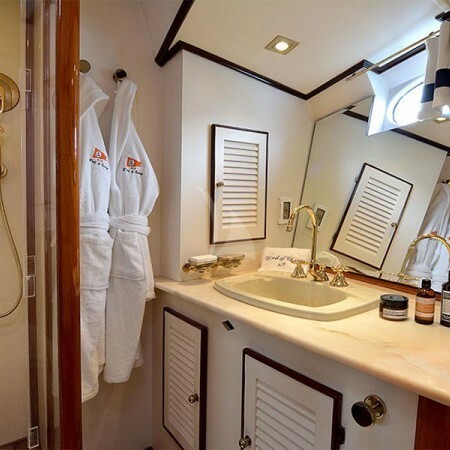 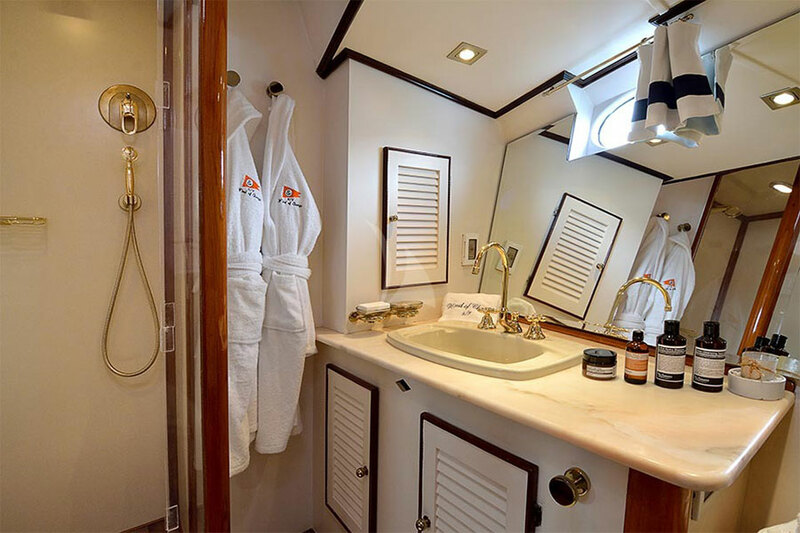 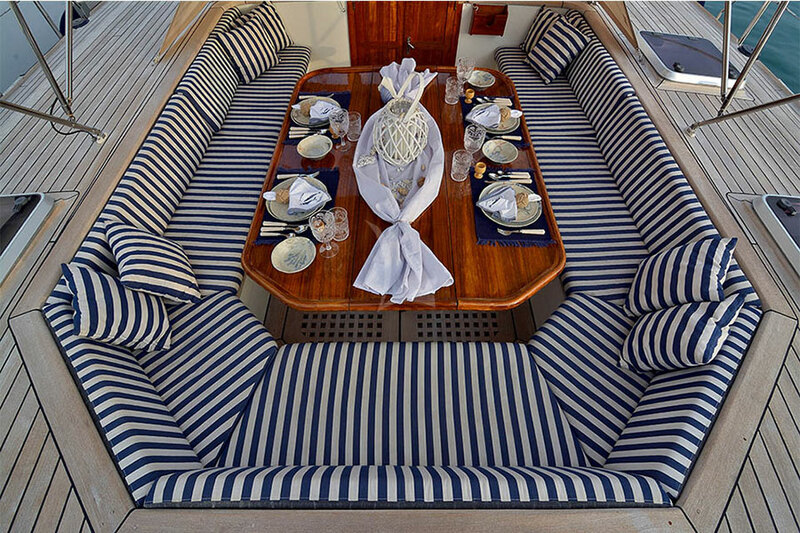 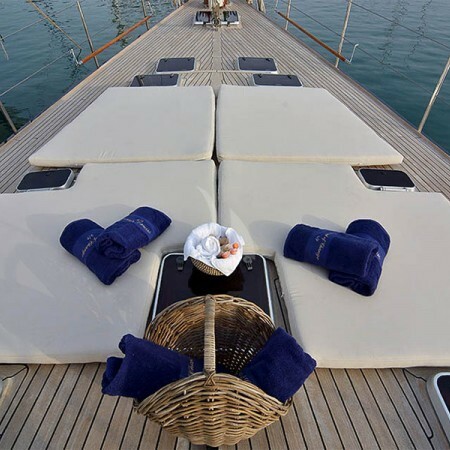 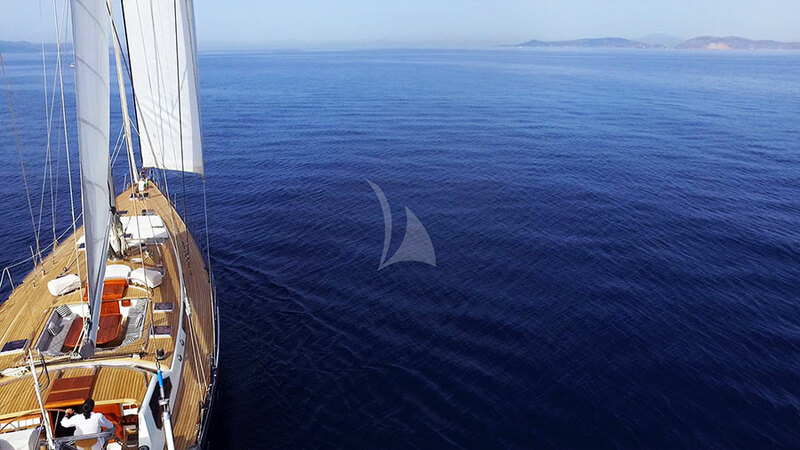 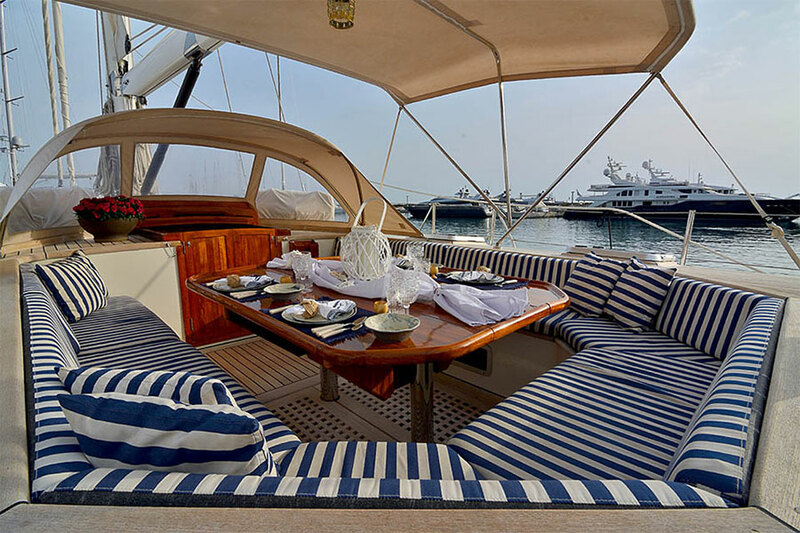 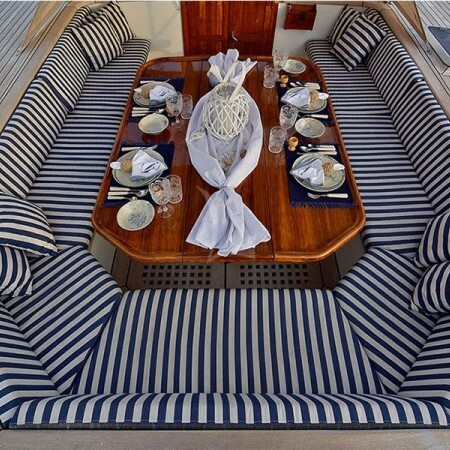 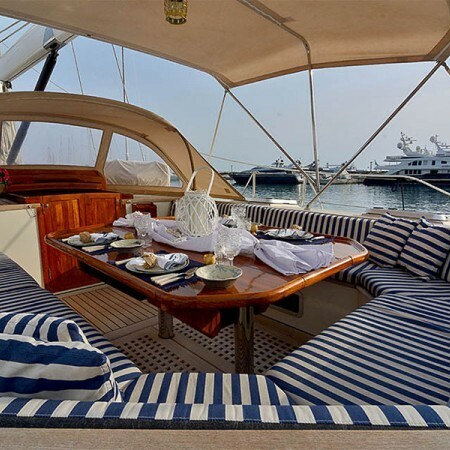 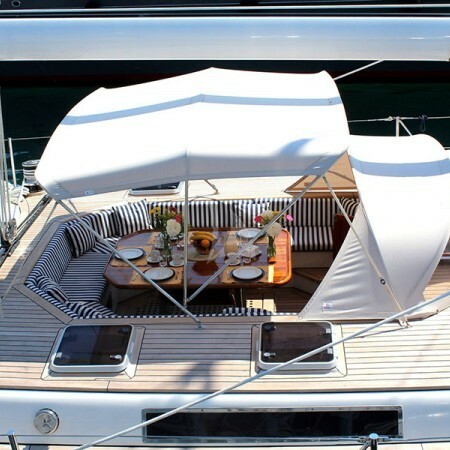 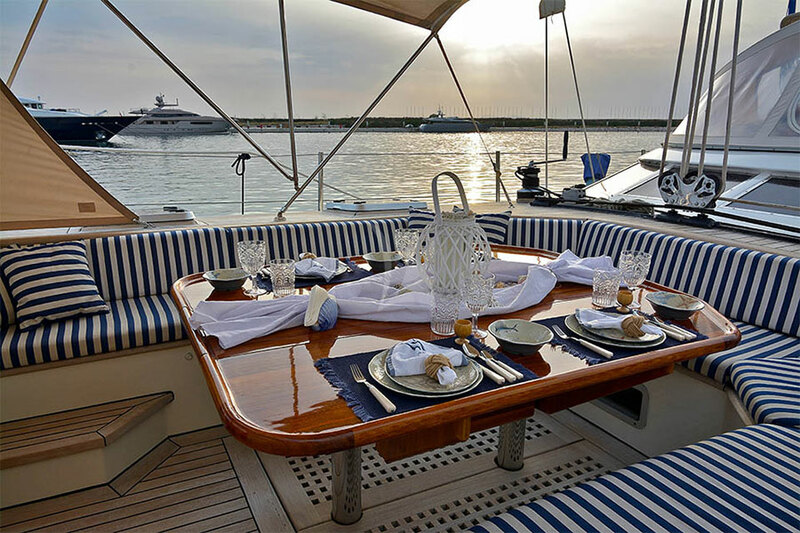 The Greece charter boat’s well-appointed deck offers abundant space for relaxation as well as sunbathing and al fresco dinning. 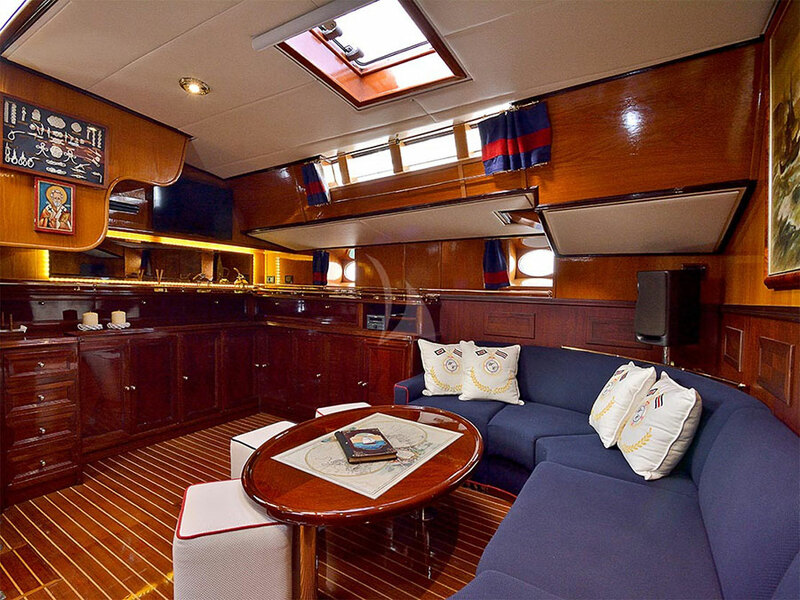 She is designed and built to sail and offers 3500 square feet of sail area and a spacious expanse of flush desk sunbathing and relaxing.